Choose 'Dashboard' on the top menu bar. 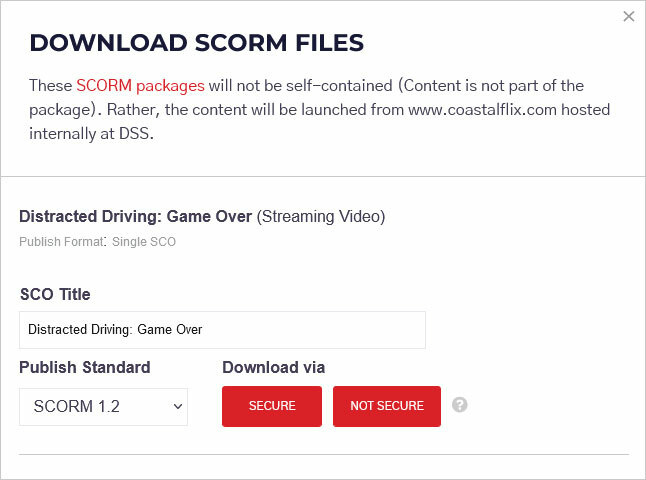 Please click the 'Download' button to launch the download selection box. 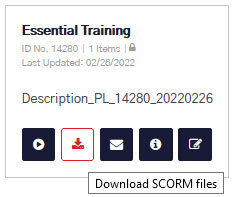 Once chosen, a Zip File containing the SCORM file will be downloaded to your computer. If you would like more details, please click here to fill up our customer service form or send an email to support@training.dupont.com.